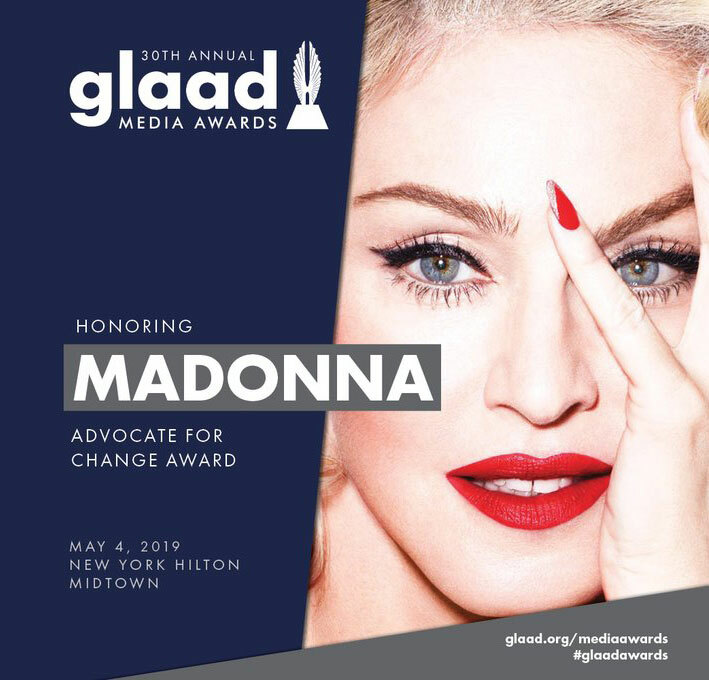 GLAAD has announced today that pop icon and longtime LGBTQ advocate, Madonna, is set to be honored with the Advocate for Change Award at the upcoming 30th Annual GLAAD Media Awards in New York City on May 4th, 2019. Madonna’s support for the LGBTQ community started at the beginning of her career during the HIV/AIDS crisis in the 1980s. She performed at HIV/AIDS benefit concerts, created a benefit dance marathon, and spoke out and demanded action at a time when HIV/AIDS was too often invisible in the media. Madonna also included a leaflet in her album Like a Prayer entitled “The Facts about AIDS” in which she gave fans crucial information about HIV/AIDS. More recently, Madonna has continued to use her platform to support the LGBTQ community, speaking out against anti-LGBTQ laws, policies, and practices. Madonna has spoken out for LGBTQ equality in Romania, Malawi, Russia and more and she continues to advocate for equality in the United States. She has also spoken against bullying of LGBTQ youth and related LGBTQ youth suicide. 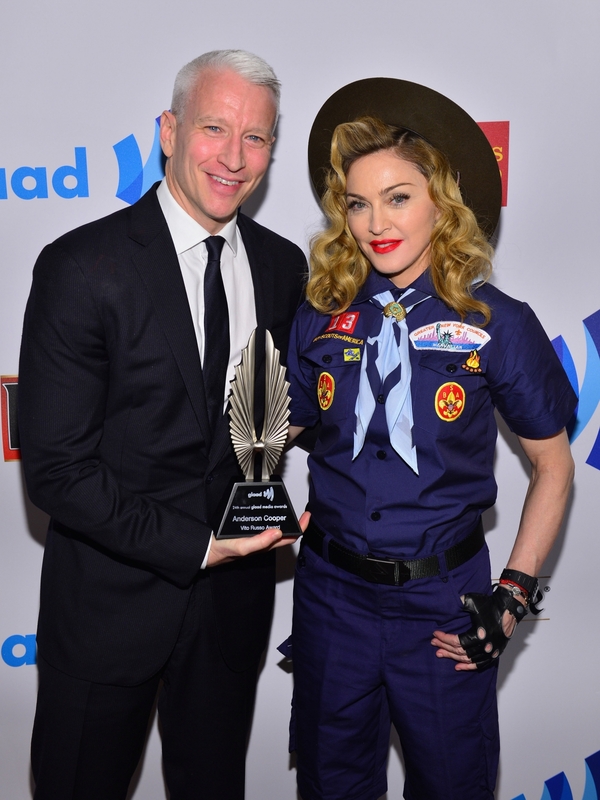 In 2013, when presenting Anderson Cooper with the Vito Russo Award at the 24th Annual GLAAD Media Awards, she dressed as a Boy Scout in protest of the Boy Scouts of America’s ban on LGBTQ people. The GLAAD Advocate for Change Award has only been given out once before to former President Bill Clinton in 2013 during the 24th Annual GLAAD Media Awards for his advocacy work to overturn the anti-LGBTQ Defense of Marriage Act and advance marriage equality nationwide.